With the start of every year, we all list out what all went right and what went wrong. We all want to improve ourselves in the upcoming year. With the onset of the New Year, we make resolutions and make promises to do certain things and not repeating mistakes done in the last year. Everybody wants to enhance their lifestyles in the New Year. And want to remove all the bad habits they had in last year. The resolution we take for the New Year, we follow them strictly for few initial months, but what happens after that? We get lazy, and we get started with our normal old routine. And then we forget our resolutions which we had taken to improve our lifestyle such as I will wake up early in the morning every day, I will lose some weight this year, I will exercise every day and much more. We spend most of our time on mobile phone. Nowadays we are so addicted to it that we cannot even breathe without it. Most of the people want to get away with their mobile addiction, but they feel helpless and cannot get rid of it quickly. We start feeling that we need to change something about this. I have a great idea which will help you in both ways. If you have taken the resolutions to improve your lifestyle in the New Year and at the same time you want to change your mobile addiction with a better alternative, then this article will definitely help you. It will help you to ease your path of resolutions, by using some beautiful and most essential apps that will enhance your productivity and also help you to make your life better this Year. We have filled our mobile with many apps which are very common in everybody’s phone such as YouTube, Google Map, Music App, Instagram, Facebook and more. No doubt that these apps entertain us. But here I will not tell you about the apps which are most common, because even if I won’t say you will have these in your device. And these apps you must have been using for many years. So, here is the list of the things you must include in your list of apps with the new year to improve your lifestyle. If you are a kind of person, who wants to start a day early in the morning every day and find it difficult to wake up from the bed and of course you must have used different types of alarm and also you would have slept again by putting it in snooze mode every day. This year you must have a strict alarm app in your device which will force you to wake up from the bed. This app is different from other alarm apps. It stops ringing only when you have walked a fixed number of steps. You cannot cheat by shaking the phone. You have to set up a number of steps (can set from 10 to 100 steps) you want to walk then only it will stop. So it has the potential to wake up even the laziest person. With the starting of every year, we all take a pledge that we will look after our health by exercising/yoga. Everyone wants to stay fit all the time. But with the end of a month or two we forget our pledge, and again we go back to the old schedule of not exercising, no diet plan etc. If you have taken the resolution to become healthy this year, you can use an instructor app to keep yourself on track throughout the year. This app is listed among the editor’s choice and also awarded as Best App. It has lots of features such as it gives your personal diet chart according to your fitness goal. It also calculates your nutritional and calorie intake. You can even manage dietary health condition such as diabetes, thyroid, cholesterol etc. It also includes a gym and yoga routine with expert help. There are countless features of this app. It is a workout/ exercise app. This app is best for men who want to tone their muscles at home. It shows all the postures and daily workout routine. It contains a workout guide through exercise. It is exclusively designed for women by the same developer who has developed the app mentioned above for men. This app has similar features as mentioned above but only designed as per female requirements. Everybody needs this app to get updated with the happenings around the world. Getting updated with latest happenings will improve your personality in many ways. You get better knowledge; you improve on your thinking level. It also gives you the power to speak out on any topics. You can present your point on any topic, it will give you an edge over other people. Your reading skills will get improved, and also you will learn new words at the same time. So, all of you must have one news app this year. This app is available in almost 10 local languages. If you do not have time to go through a newspaper, you can read it anywhere because along with the national and world news it also covers local area news. Successful peoples have one thing in common that is discipline. If you want to be successful this year, you must have to define your daily goals or plans, and you must have to stick on it. For this initially, you will need some instructor so that you will not get diverted from your path. There are many apps which will help you to achieve this. All these features you will find in one app. This is used by millions of people. People also use the GoogleKeep app, but Any.do has more advantages over this. You can organise your daily work and can set a reminder. You can plan your day in a better way with this. This is a task manager and to-do list app. It helps you to make a schedule, organise your work and manage time with all your work. This app is an alternative to any.do. With the start of New Year, we all want to do away with our bad habits. If you are going to enhance your lifestyle this year, you need to keep track of your habits. Because whatever we are today it is because of our habits. And we can bring a change in our life when we break bad habits. This app will help you to organise your daily life, and you can track your day to day habits and routines. It will also help you to remove your bad habits and will add-on good habits in your life. Because it tracks how much time you have wasted on a particular thing. Some people always face sleeping problems at night. We all need good sleep at night to wake up fresh in the morning. If you sleep is not good, the next day the total productivity will be less, you will feel tired or anxious whole day. Some people snore at night. Snoring is part of poor sleep. This App helps you to sleep better. It analyses the quality of your sleep and detects your snoring. It will help you to improve your sleeping habits and also resolve your snoring problem. These above mentioned six kinds of apps can be used by any person to get on track. I have included the list of additional apps that can be used by students who have taken resolutions for their studies and want to change their study pattern in this New Year. This is note taking app. For a long time, we have been using the same pattern of studies by noting down everything on papers or diaries. You can change this habit this year with Evernote. You can save your note in a variety of formats including text, photos, videos etc. Copy any information from the web and paste it in Evernote. It gets save automatically. This app can be used by other persons also. This app has many features which give it advantages over other note making apps. This app tracks where you are spending your daily hours. You have to set a timer for each work you are involved in a day. At the end of the day, you will get to know how much time you have wasted and how much time you really studied. This way you can improve on your sitting habit. Another app is TimenEye which has same features. Little different than the above two but used for the same purpose. Additional features are, you can plan your week in advance and accordingly wok. It has a reminder too. Some people plan to do different things in New Year like learning different languages, different skills, reading some books and more. It’s a good habit to learn new things and improve your personality. This will make you a better person over the years. You can learn different foreign languages with this app. It includes French, German, Italian, English and more. You can practice speaking, reading, listening and writing skill through a game and can become a pro in any foreign language. People who love reading take a resolution of completing a certain number of books within a year. This idea is really cool. To read so many books, you do not have to buy them. You can download this app because it has massive e-books collections. One can choose their choice of categories from the list. With the help of this app, you can learn six essential life skills. It includes skills such as social and cross-cultural skills, planning skills, leadership skills, global living rules etc. Learning these skills will make you unique among masses and over the years will help you to become a better person. 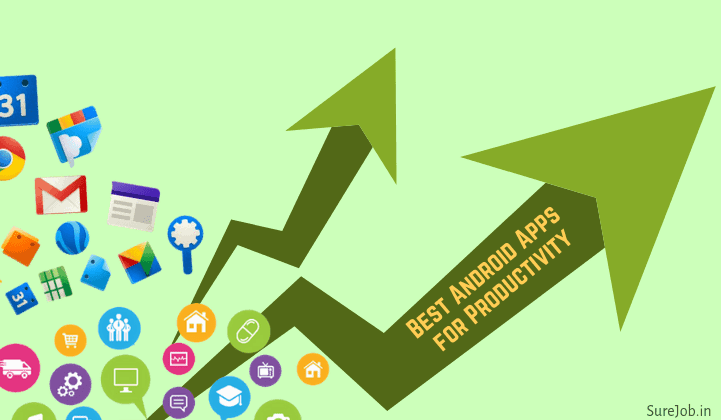 While incorporating these apps in your life, you will also be using your mobile phone in a better way because these apps will keep you engage to do your work properly. All the apps mentioned above are for improving your lifestyle this year. These apps can be used by everyone whether you are a student or a working professional or a homemaker. These apps will help you to enhance your lifestyle in your own way. हिंदी ब्लॉग लिख कर इंग्लिश की बराबर सफल हो सकते हैं ? Hello l am Mrs. Tamalika Basu Bannerjee.My proffesion is l am a painter.l am a seller.I want to sale my original own handmade pictures and earn money from the customers.I want to see the varities names and addresess and whattsapp numbers and email addresess of the varities customers in our world.If it is possible then send me a message.My whattsapp number is 8777237403.